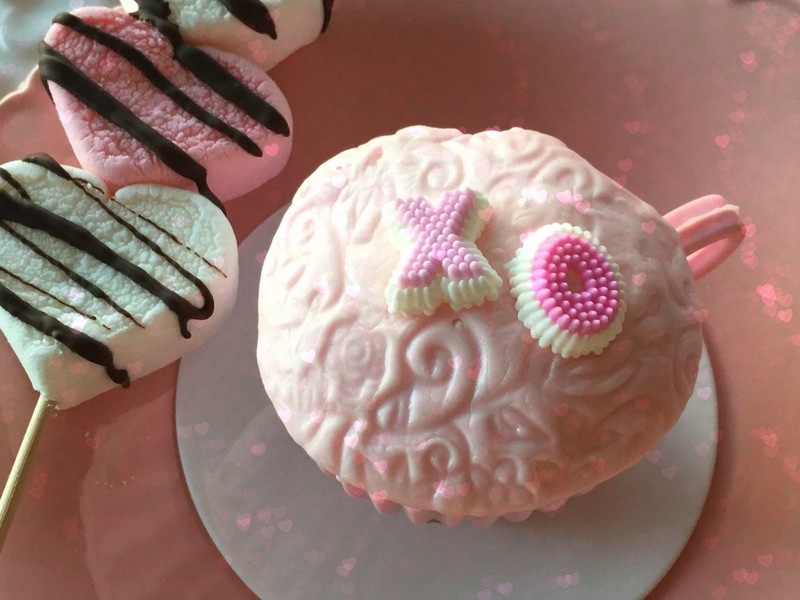 How romantic are these little love cakes? that they keep your cupcake so moist!! dried out because of the paper cups? I have!! GIVING THEM A SET OF THESE! a little over half way full. and Almond Flavored Homemade Fondant. up in your heavy duty mixer so quickly! and make the mixture smooth. is still hot as it will stretch too much. powdered sugar, dust your counter top. too much fondant on your cupcake. stretch it slightly to cover the frosting. that didn't take any time. both with almond just is the "icing on the cake"! the mixture. Add the additional 1/2 T. if needed. be sure to come back. 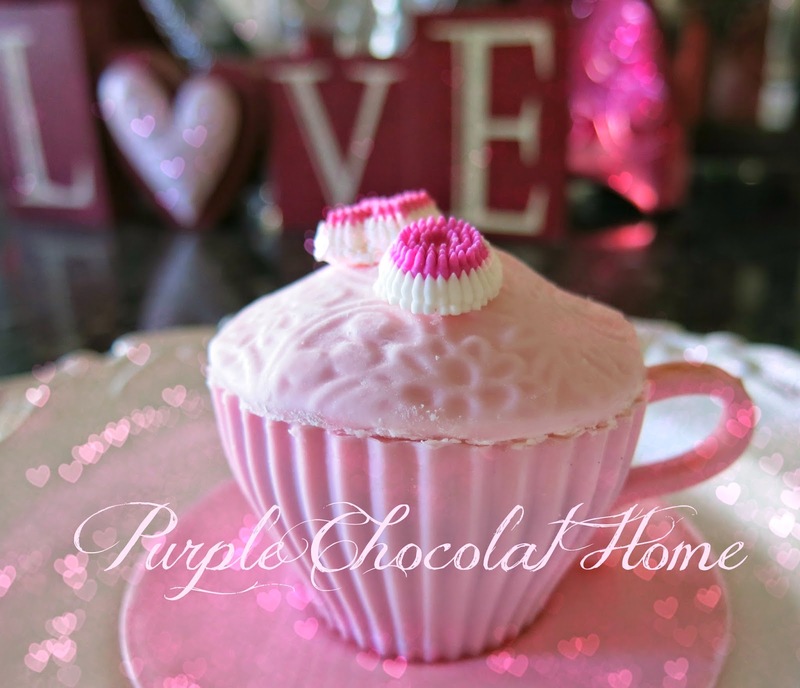 8 pink or 8 white teacup cupcake cups. What a DEE-lightful sight with my first cup today!! They're absolutely charming and so clever and perfect. That shade of pink---that's just perfection, however you coloured it, like the sweetest new babydoll or the icing on your Sixth Birthday Cake, or the soft hue of a pair of Easter gloves. I've got an old country song running through my head now---That Old Time Rock and Roll, only the line goes, "That kind of colour just soooothes my soul . . ."
Your genius for finding the most striking items and places and things is the reason I so enjoy dropping in. You never stop amazing me. You learn something new and wonderful, and then you share your knowledge. Thank you! Those are the coolest cupcakes and teacups! I just love, love, love them. 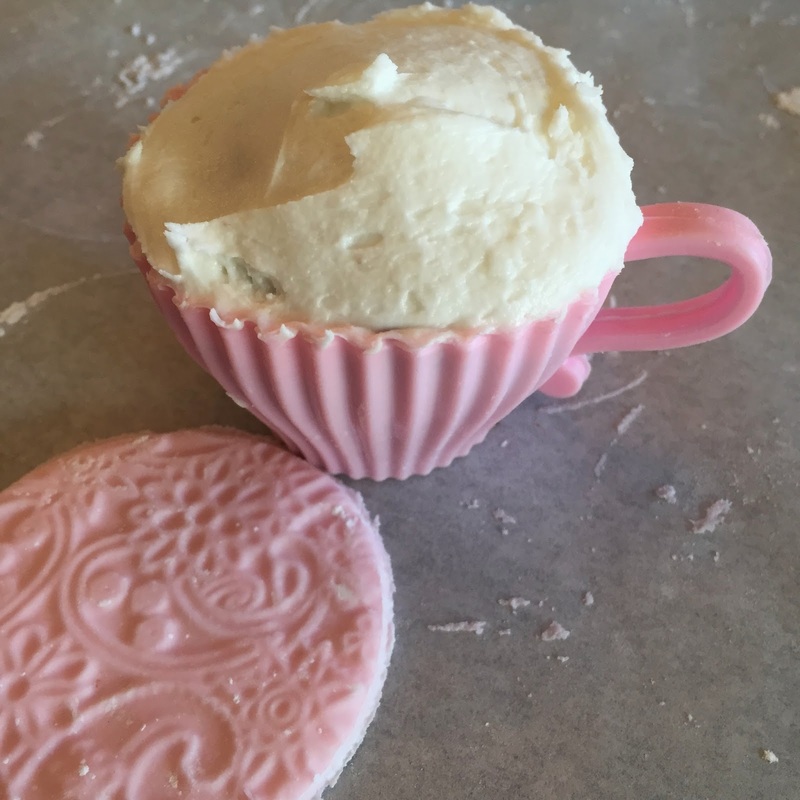 The silicone molds make the cutest cupcakes ever and I love the fondant on top of the buttercream. Lovely Valentine's Day desserts, Jacqueline. I have been wanting to try to make marshmallow fondant. Thanks for the recipe. Cute little XO candy toppers too. 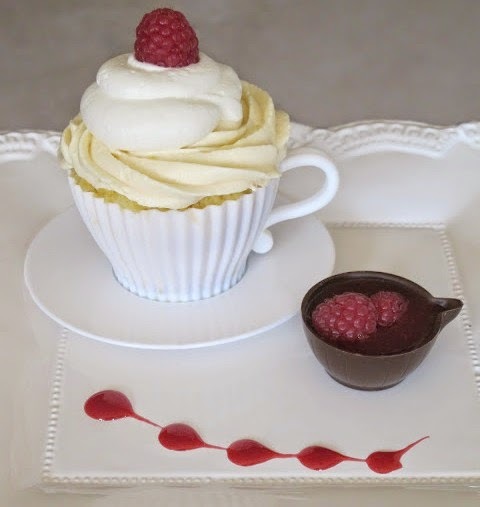 The cupcakes in a cup make such a darling presentation. How cute are those! The fondant sounds too good. You are so talented! I think we have the same rolling pin for the fondant.. I like that fondant too.IF I HAVE to have fondant:) Apparently Satin Ice is a good one..Happy Valentine's day.. Darling presentation Jackie. I am so glad you are sharing these fabulous designs. I will be trying out the fondant recipe too. Please add my name to the cup!!!!! 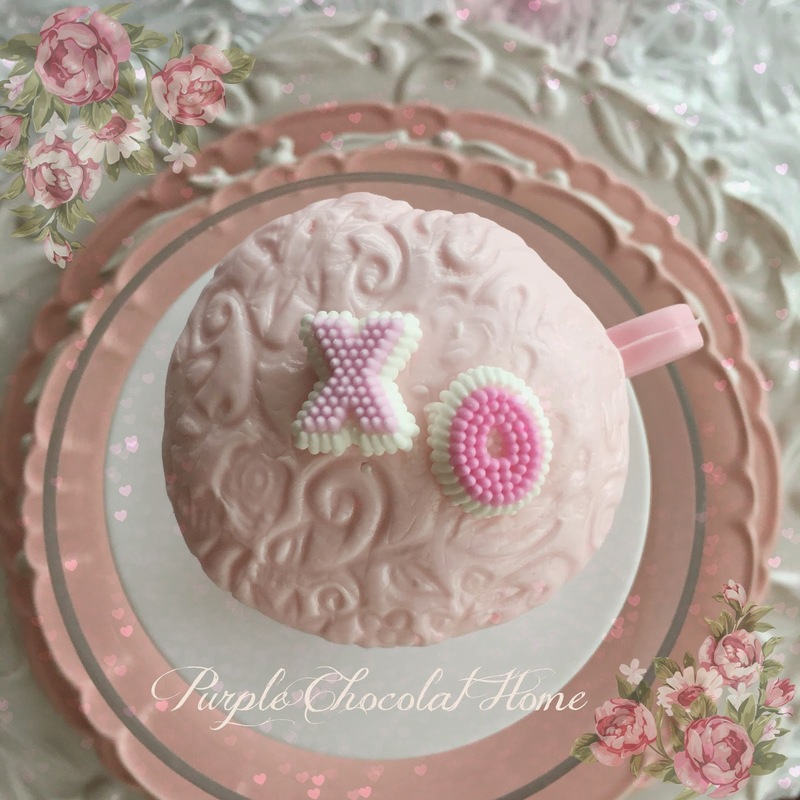 These cupcakes are Valentine perfection!The molds would be wonderful for tea parties.Ireally enjoy your blog. You have the most wonderful ideas and I so enjoy your blogs!